Everyone is welcome! If you like what we do, membership is the chapter's primary funding mechanism, so we would be honored if you support us by joining as a member. 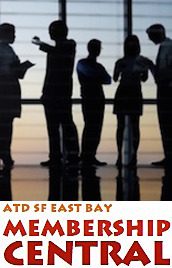 Member of other local ATD chapter. You're set to go. Your project has been given the green light. The budget has been allocated, you've lined up the subject matter experts, and you have a work plan. Suddenly, the focus is on you. How will you deliver a quality learning experience on time and within budget-and without a lot of crazy-making stress? Do you have the tools you need to track progress & confidently report status to your sponsors? How will you communicate effectively, and with whom? Mary Beth (MB) Deans, founder of MB Deans & Company, has been a consultant for more than 25 years. Her focus has been on program and project management, training, and change management in technology implementations, marketing, sales and channel partner operations. She specializes in projects that are high visibility or at risk for success, where she builds high-performing teams and instills a sensible project management approach. She delivers results that meet business goals, are on time and stay within budget. Clients like Robert Half International, Stanford Healthcare, Blue Shield of California, NTT Data Americas, Kaiser Permanente, and Aruba Networks have all delivered successful projects with her guidance. MB is also an advisor to start-ups in in the transportation and lifestyle sectors. She has studied and taught tai qi for 25 years. She holds a Master of Science in Computer Science from Fairleigh Dickenson University and a Bachelor of Science in Biochemistry from Rutgers College.